I would like to use an image to trace and use that image as a texture on each plane. I do not see a way to do this within the program but requires separate programs. @behold3d - you can put a shape on the mat, select it, right click it and choose Change Color/Texture/Line => Select Texture... I do not understand what you mean by constructed planes, do you mean you are designing wooden airplanes or do you mean plane as in a layer? Can you share a picture of what you are trying to achieve? BTW thanks everyone for your advice. I am evaluating a purchase of the popup card studio. The ability to pixel trace an image and apply the image to the plane is what I am seeking. Ideally, I am looking for this in a single interface. Doesn't look like anyone offers that, though. Make the Cut should be able to do exactly what you need, based on my understanding of your initial question. Popup Card Studio would not be the best choice for that. But I also agree that fully understanding what you mean by "plane" would be helpful. I'm interpreting that to mean various layers with different shapes. Maybe you could attach some screenshots or even find a link on the Internet that will help us understand? well, the intent is to make a popup card so that's why i was using popup card studio. In Popup card studio you have the ability to position a plane or import a svg to use as one level of your popup card. 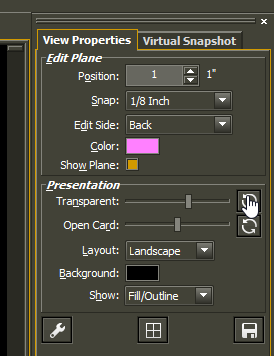 i would like the ability in popupcard studio to import an image, position it, trace it and use that image to texture the cut out on that plane. @SusanBluerobot, here is a question that I think your expertise will be very helpful. Can you give any assistance to behold3d when it comes to using a texture on a popup plane? Is that something that requires MTC to achieve? Thank you. I am not Susan, but Yes - you cannot do node editing or texture editing in popcard Studio. You cannot trace - so sorry @behold3d it doesn't do what you seem to need. You can shadow and weld and move shapes around, but not what you call underlaze. You can move shapes from MTC to popupcard studio. I have done a lot of textured popup cards using both programs in concert. This was done using popup card studio and MTC. 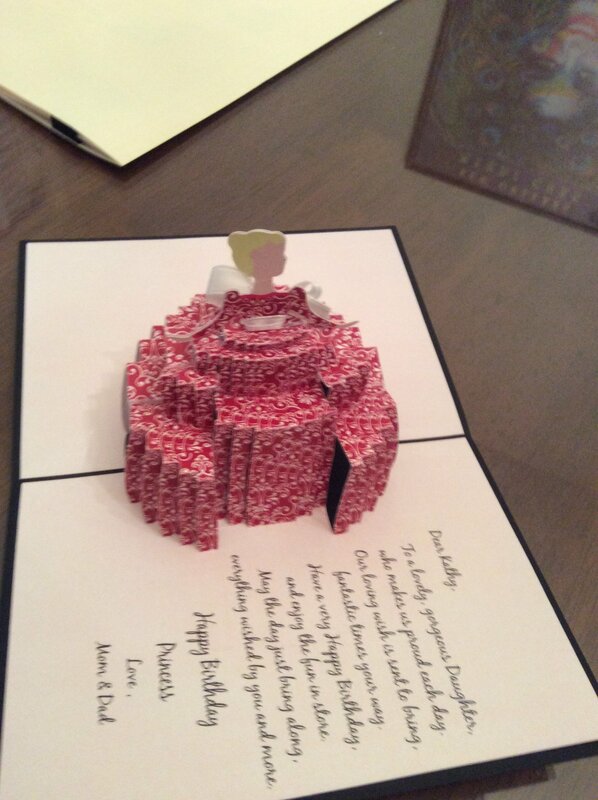 I had helped Rachel @Meow with the front that she designed, then I changed it slightly and designed the back in popupcard studio and then did a pnc popup card using MTC to add the texture for my DD last birthday. I do not think I shared this card befor, but it is a recent example of what I am talking about. I looked over these tutorials. @SusanBluerobot has been an awesome resource... Oh well. Thanks everyone for your help.